A love for the community, medicine, patient care and each other have combined for a successful and fulfilling life for local physicians Jay and Patricia “Pat” Chapman. The husband and wife have made their home and careers in Pulaski, combining for 70 years of experience in rural medicine. The Chapmans, who work under the ConnextCare umbrella in Pulaski, serve patients primarily from northern Oswego County and southern Jefferson County. For them, the opportunity to serve patients in rural communities has been a rewarding experience. With the desire to make a difference and focus on family medicine, the pair landed in Pulaski in 1984 after connecting with William “Ted” Prescott. 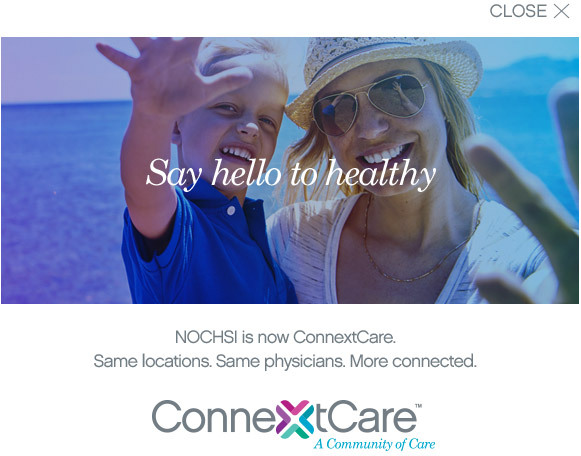 Prescott was a founder and director of Northern Oswego County Health Services, now ConnextCare, and had stayed in touch with Pat, who was a Sandy Creek High School graduate before earning her medical degree from SUNY Upstate. “We wanted to come here, it felt like the right place for us. They were extremely flexible with us because having two doctors in one family working full time is too much. We were able to stay home with our kids for a few days and then work for a few days. It was the perfect balance,” the Chapmans said. “I hope they’ll be able to continue that flexibility and understanding with folks moving forward, because it really has made a difference. It’s made the place feel family-like. For the people who work here, it’s always felt family-like,” Jay added. The sense of community and family atmosphere are reflected in the way the Chapmans interact with their patients. They said they have a deep feeling of pride and care in their work. Their commitment hasn’t gone without recognition, as the duo has received multiple awards spanning their careers. In September, SUNY Upstate Medical University, their alma mater, awarded Jay with the President’s Award for Outstanding Voluntary Faculty Service. The award recognized him “for being a vital part of the community, having taught SUNY medical students the critical roles of patient advocacy and community leadership for many years.” Through his work with Upstate’s Rural Medical Education Program, he has trained 28 students in the Oswego and Pulaski communities and offers teaching experiences that highlight the importance of providing care to vulnerable populations in underserved communities. In addition to the individual award from Upstate Medical Center, both doctors have received several awards together. In 2014, they were named Rural Practitioners of the Year and also received the Rosemarie Forstner Award, a statewide honor that recognizes efforts and advocacy to ensure quality health care to underserved populations. “Drs. Jay and Pat, as they are affectionately known, are extraordinary health care providers and citizens. Their impact on all the patients’ lives they touch and on the health and well-being of our community as a whole are immeasurable. Through their long and distinguished tenure, they’ve come to exemplify the values that ConnextCare has built into its mission and vision, and guides how each of us operate on a day-to-day basis. They are and will always continue to be an inspiration for all of us at ConnextCare.” ~Dan Dey, president and CEO, ConnextCare. Although the awards and honors are a nice touch, the Chapmans find more satisfaction knowing they are taking care of their patients and delivering a high level of care. As difficult as their decision was to select an area of practice, their decision to retire July 1 proved to be as challenging. The Chapmans said they will cherish the memories they have serving patients at the Pulaski location and in school-based health centers throughout Oswego County, but noted the time was right to announce their retirement. Even when they retire, the couple plans on remaining in the community that they served for 35 years. They live in Pulaski and enjoy summers on Sandy Pond.